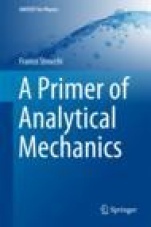 This book presents the basic elements of Analytical Mechanics, starting from the physical motivations that favor it with respect to the Newtonian Mechanics in Cartesian coordinates. Rather than presenting Analytical Mechanics mainly as a formal development of Newtonian Mechanics, it highlights its effectiveness due to the following five important achievements: 1) the most economical description of time evolution in terms of the minimal set of coordinates, so that there are no constraint forces in their evolution equations; 2) the form invariance of the evolution equations, which automatically solves the problem of fictitious forces; 3) only one scalar function encodes the formulation of the dynamics, rather than the full set of vectors which describe the forces in Cartesian Newtonian Mechanics; 4) in the Hamiltonian formulation, the corresponding evolution equations are of first order in time and are fully governed by the Hamiltonian function (usually corresponding to the energy); 5) the emergence of the Hamiltonian canonical algebra and its effectiveness in simplifying the control of the dynamical problem (e.g. the constant of motions identified by the Poisson brackets with the Hamiltonian, the relation between symmetries and conservations laws, the use of canonical transformations to reduce the Hamiltonian to a simpler form etc.). 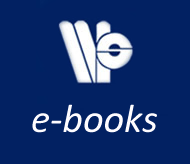 The book also addresses a number of points usually not included in textbook presentations of Analytical Mechanics, such as 1) the characterization of the cases in which the Hamiltonian differs from the energy, 2) the characterization of the non-uniqueness of the Lagrangian and of the Hamiltonian and its relation to a "gauge" transformation, 3) the Hamiltonian formulation of the Noether theorem, with the possibility that the constant of motion corresponding to a continuous symmetry of the dynamics is not the canonical generator of the symmetry transformation but also involves the generator of a gauge transformation. In turn, the book's closing chapter is devoted to explaining the extraordinary analogy between the canonical structure of Classical and Quantum Mechanics. By correcting the Dirac proposal for such an explanation, it demonstrates that there is a common Poisson algebra shared by Classical and Quantum Mechanics, the differences between the two theories being reducible to the value of the central variable of that algebra. Author Biography: Franco Strocchi graduated at Pisa University and at Scuola Normale Superiore, Pisa, and then has been Research Fellow of the National Institute of Nuclear Physics (INFN) and Lecturer at Pisa University and at Scuola Normale Superiore. Later, he has been Full Professor of Theoretical Physics at the International School for Advanced Studies in Trieste (SISSA) and Professor of Theoretical Physics at Scuola Normale Superiore, Pisa. He is the author of more than one hundreds of papers on theoretical and mathematical physics and of the following books: Elements of Quantum Mechanics of Infinite Systems (World Scientific, 1985); Selected Topics on the General Properties of Quantum Field theory, (World Scientific, 1993); Symmetry Breaking (Springer, 2005, 2008); An Introduction to the Mathematical Structure of Quantum Mechanics (World Scientific, 2005, 2008, 2010); An Introduction to Non-Perturbative Foundations of Quantum Field Theory (Oxford University Press, 2013, 2016); Gauge Invariance and Weyl-polymer Quantization (Springer, 2016).He has been Research Associate and Visiting Professor at Princeton University (USA), Visting Scientist at Cern, Visiting Schroedinger Professor at the University of Vienna. Preface.- 1 Difficulties of Cartesian Newtonian Mechanics.- 1.1 Constraint forces.- 1.2 Non-inertial frames and fictitious forces.- 2 Lagrange equations.- 2.1 Degrees of freedom and Lagrangian coordinates.- 2.2 Lagrangian form of Newton's equations.- 2.3 Lagrange equations.- 2.4 Lagrange equations at work. Examples.- 2.5 Generalized potential.- 2.6 Larmor theorem.- 2.7 Physical meaning of Lagrange equations; conjugate momenta.- 2.8 Cyclic variables, symmetries and conserved conjugate momenta.- 2.9 Non-uniqueness of the Lagrangian.- 3 Hamilton equations.- 3.1 Energy conservation.- 3.2 Hamilton equations.- 3.3 Coordinate transformations and Hamilton equations.- 3.4 Canonical transformations.- 4 Poisson brackets and canonical structure.- 4.1 Constants of motion identified by.- Poisson brackets.- 4.2 General properties of Poisson brackets.- 4.3 Canonical structure.- 4.4 Invariance of Poisson brackets under canonical transformations.- 5 Generation of canonical transformations.- 5.1 Alternative characterization of canonical transformations.- 5.2 Extended canonical transformations.- 5.3 Generators of continuous groups of canonical transformations.- 5.4 Symmetries and conservation laws. Noether theorem.- 6 Small oscillations.- 6.1 Equilibrium configurations. Stability.- 6.2 Small oscillations.- 7 The common Poisson algebra of classical and quantum mechanics.- 7.1 Dirac Poisson algebra.- 7.2 A common Poisson algebra of classical and quantum mechanics.- Index.